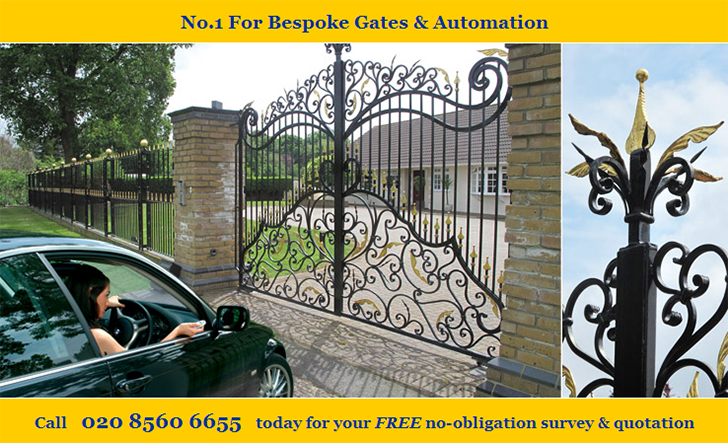 Sliding gates in are a great space saver and can be cheaper to automate as only one motor is required. You will need the width of the opening plus approx one metre for the gate to slide back. Sliding gates in run on ground tracks, these can sit on top of most driveways including block paving and tarmac. We can supply a flush fitting track that is built into the ground; this is the best option if you are laying a new driveway. There is a system that does not require a ground track. This is the most costly option and needs a large foundation to hold the roller bed.